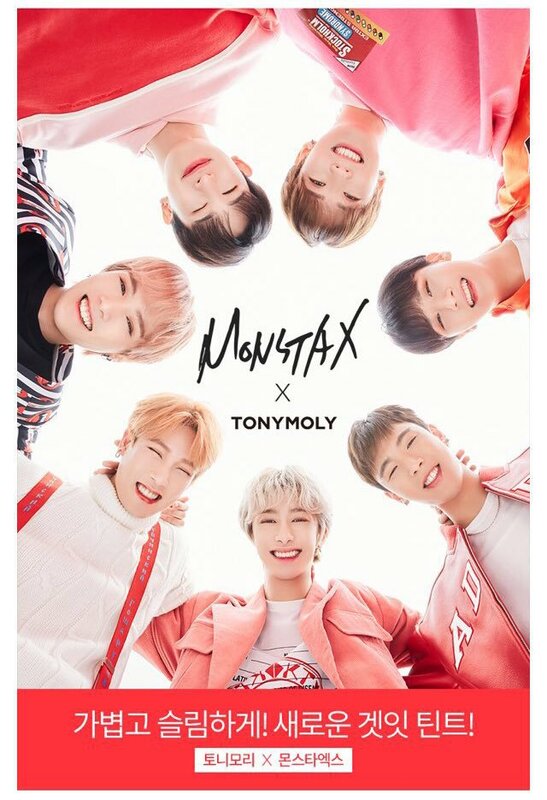 MONSTA X Reveals Collaboration with TONY MOLY – Sweet Sweet Kpop | News, Games, Giveaways and more! October 1, 2018 October 1, 2018 e.m. If you’re into Korean beauty and cosmetics as much as you’re into MONSTA X, you are in luck! On October 1, Starship Entertainment‘s rising boy group MONSTA X dropped their collaboration with the Korean cosmetics brand, TONY MOLY. MONSTA X are now the promotional faces for TONY MOLY’s new “Get It” lip tints. This collaboration suits MONSTA X well, as they are skilled in makeup and cosmetic applications. They have been photographed applying makeup backstage before, and we can’t forget that leader Shownu was featured on Lipstick Prince! According to TONY MOLY’s additional information about the new “Get It” lip tints, each tint is sold for 6.000₩ (approximately $5.40 in the US). They also come with one free postcard! If you spend more than 20.000₩, you will get a set of 8 photocards.